Reesa recently turned 16 months old; each day is truly a blessing. When we went to see Dr. Escolar (Krabbe Specialist) in mid-September she was very happy to see that Reesa was still sucking on her pacifier. Dr. Escolar said most Krabbe babies at 14 months have lost this ability. Dr. Escolar encouraged us to keep working on this with Reesa because, although Reesa’s ability to swallow has diminished, it helps manage her secretions and Reesa absolutely loves it! It is one of the only things that Reesa can voluntarily control. It may not seem significant but in our world Reesa’s pacifier is a HUGE deal! My God she is so precious. Love the video. I pray for the 3 of you always. Love to see anything positive as well.Bless her sweet heart . 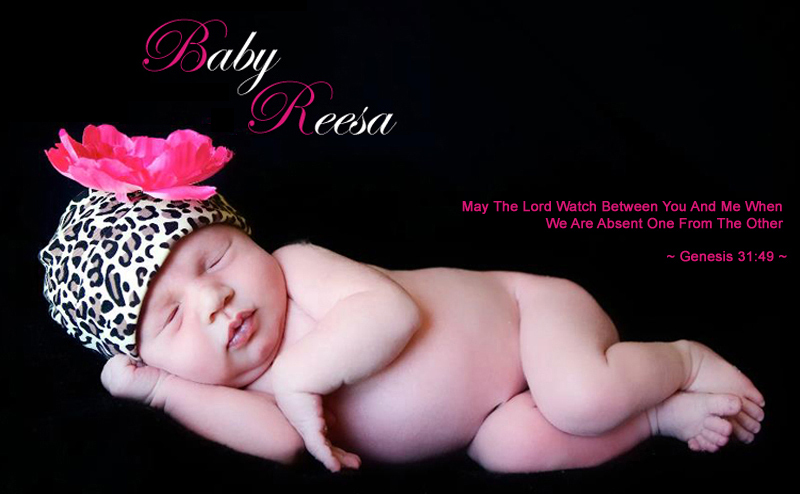 Thanks as usual for keeping us updated I think about Reesa and her family daily and pray for you constantly . That is some serious binky-Ing!!! I love her!! Seasons Greeting to you and your family. May God's love shine down upon you and watch over you always. All my love to Reesa.